If you can’t get out and walk, jog, run, or even bike outdoors, there are plenty of ways to get the recommended exercise you need right in your home. Stationary bikes can turn the hassle of heading to the gym into a convenient exercise regimen. Whether you put your stationary bike in your own home gym or even right in the living room, this investment can pay off with many health benefits. But how do you choose the best stationary bike for your needs, and which bikes are the best to choose from? 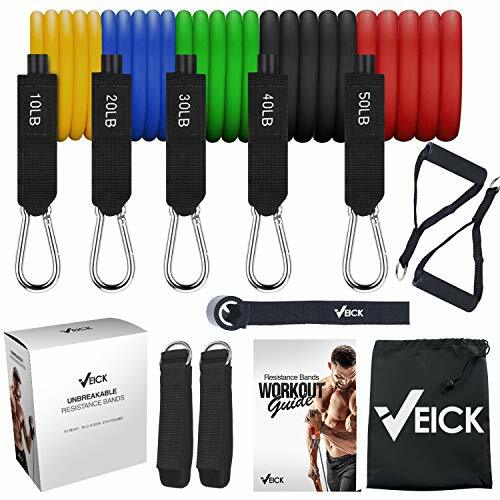 For more of my recommendations, have a look through these popular Women’s Workout guide links: Vertical Climbers, Rowing Machines and Elliptical Trainers. First we’ll take a look at my top rated exercise bikes, then we’ll talk about how to choose a bike for you in our buyers guide. While there are many stationary bikes available today, not all of these bikes live up to their reputation. We’ve researched and tried several stationary bikes. Here are the top 7 bikes we found. The belt drive resistance system of the Sunny Health & Fitness Indoor Cycling Bike gives you a smooth ride that won’t interrupt your music or television show. The belt drives a flywheel weighing nearly 50 pounds and felt pads are used to increase or decrease the resistance. Even with such a heavy flywheel, transportation is made easier with built-in wheels that make this Sunny Indoor Cycling Bike very portable. The seat isn’t just padded for comfort but is also adjustable forward and back as well as up and down. The ability to move the height of the seat as well as how close it is to the handlebars makes it easy to adjust the bike for your personal comfort tastes. The durability of the frame with the flywheel design make the Sunny Fitness our Editors Choice for the best stationary bike and allows for a smooth ride that will stand up to long sessions and many years. Sunny is known for designing quality home fitness equipment and this cycling stationary bike is just one more example. Fans are a very popular type of resistance used in at-home stationary bikes. That is exactly the resistance used in the Marcy AIR-1 Exercise Upright Fan Bike. The faster you pedal, the more resistance you will feel. That fan is housed in a very sturdy frame made of high-quality steel that isn’t designed only for performance but also design. You won’t only get your cardio workout as well as a toned lower-body, however. Unique exercise arms allow you to give your upper body just as much of a workout and makes the Marcy our choice for the best exercise bike. The LCD panel incorporated into the design of the Marcy AIR-1 not only displays an odometer reading but can show you the time and length of your workout as well as the virtual speed and distance and the calories you have burned. The adjustable seat ensures your comfort as you use the stationary bike. This isn’t just for comfort, however. Proper form while using an exercise bike is vital in preventing injury, especially those caused by long-term use without proper form. The seat isn’t the only thing you can adjust. The levelers on the bottom of the bike allow you to perfectly level the machine and can be used on all surfaces, from carpet to hardwood and more. Schwinn doesn’t just manufacture great bicycles for both kids and adults to use outdoors. The Schwinn AD6 Airdyne Exercise Bike is the best indoor cycling bike on our list and perfect for home use. Just like the Marcy AIR-1 featured above, this bike uses fan resistance with a single-stage belt and is quiet so you can enjoy entertainment while working out or even so you don’t bother others in the house. With an upper body workout as well, you can either choose a full body working using both arms and legs or you can place your feet on stationary pegs and only focus on upper body strengthening. The LCD screen incorporated into the AD6 Airdyne shows you helpful stats about your workout, from the speed and RPMs of the fan, the distance and time you’ve traveled, as well as the calories you’ve burned and your heart rate. The heart rate is measured through telemetric pads and is helpful when using this stationary bike for interval training. The folding frame of the Harvil Foldable Magnetic Exercise Bike makes this an excellent choice if you don’t have much room for in-home exercise equipment. The compact size when folded also makes utilizing the wheels for transport much easier. 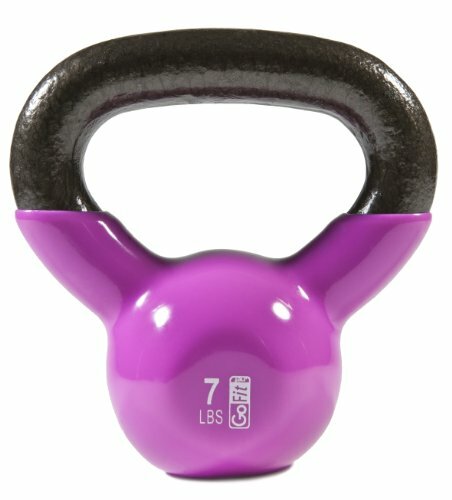 The magnetic resistance offers 10 levels, meaning you can take a leisurely stroll or push your workout to the limit. Seat handles, placed at each side of the seat, makes pedaling easier as you support your upper body. An LCD monitor makes it easy to track stats. It shows your heart rate, measured through the seat handles, as well as the miles you’ve traveled and the time of your workout. You will also be able to see your speed and how many calories you’ve burned. The seat on this Harvil stationary bike is cushioned for comfort and features a supportive back rest. Harvil, a family business located in the US, has designed one of the best home exercise bikes on the market! If you’re looking for the best upright exercise bike, the Trbitty Upright Exercise Bike with magnetic resistance is a good choice. You can choose from one of eight resistance levels to challenge and increase your physical fitness. The seat, designed to oversized and cushioned, is adjustable four ways. You can move it up or down, backward or forward. This allows you to be comfortable as you pedal, adjusting to your height requirements. 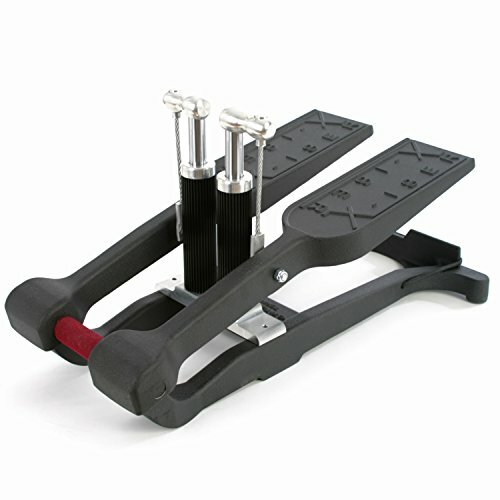 The pedals have been designed to be comfortable as well as safe, with a non-slip, anti-skid platform and adjustable elastic straps. 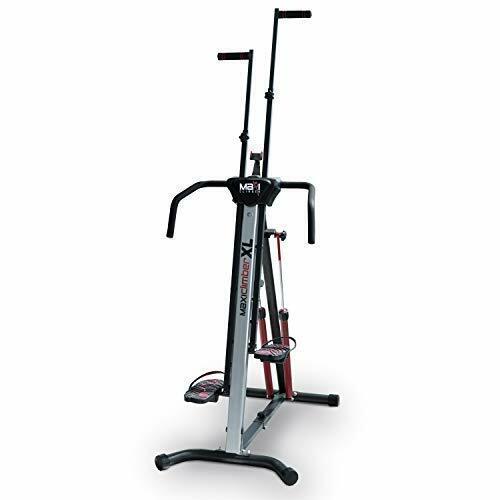 Just like many other stationary bikes, the Trbitty Exercise Bike features a full featured LCD monitor. It displays your calories burned but you also can view stats such as the your speed and distance, and your heart rate along with target zone heart rate. The LCD screen isn’t the only helpful tool you can view easily, however. The tray can easily accommodate a smartphone or tablet to help make your time on the bike go a little faster. If you find that work, has made it difficult for you to find time to exercise, the FitDesk might be the best indoor exercise bike that allow you to work and exercise at the same time! The desk that is built in to the bike allows you to use a smartphone, tablet, or even small laptop, all while getting your daily dose of cardio. Built from high-quality materials, this stationary bike is the perfect blend of function and fun. The flywheel, designed for high velocity, is ran by a twin belt and is one of the quietest desk exercise bikes you will find. The seat is comfortable as well as adjustable, but not just forward and back. You can adjust the seat from an upright position to one that allows recumbent cycling. Even while working, or having fun, on your electronic devices, you can track your workout stats. Through a digital resistance meter, you can view everything from the miles you’ve traveled to the calories you’ve burned. One feature you won’t find on many portable exercise bikes is the massage rollers built in to the armrests of the FitDesk Desk Exercise Bike. You can also use the resistance bands that are designed into this bike to get more out of your workout, incorporating an upper body workout. You don’t have to get up every 10 minutes to stretch your legs, and you don’t even need a standing desk, to keep your body moving while at your desk. The DeskCycle Under Desk Exercise Bike allows you to easily keep your blood pumping and your legs moving. This can actually increase the flow of oxygen to your brain, which helps fight that after-lunch fatigue. 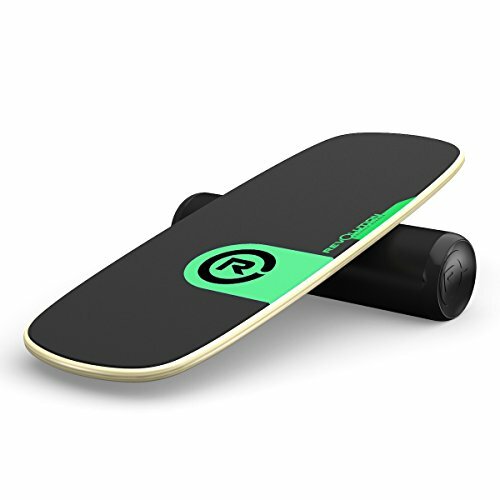 It features 8 magnetic resistance levels that keep the pedals moving smoothly and it is quiet so you won’t bother co-workers or even family members at home. The DeskCycle can be used at a desk as low as just 27 inches and at just 40 Pounds, it can easily be moved from your work desk to your home. The height of the under desk cycle can be adjusted from 9” to 10” so you can pedal in an ergonomic way. It doesn’t take much resistance at all to see the great benefits of cycling at your desk, and it might just catch on with friends and colleagues. Every one of the exercise bikes we’ve shown you have a different combination of features. To choose the stationary bike that is best for you, you should look at some key factors. When reviewing our top 7 stationary bikes, be sure to look for the types of features you need, without spending extra money on features you don’t. Even though fan resistance is quiet, it isn’t as quiet as those with magnetic resistance, that are virtually silent. Fan resistance also provides an endless number of resistance levels since the resistance comes from your own speed. You might also like the breeze that a fan stationary bike can offer, keeping you cool as you exercise. Magnetic resistance may also be helpful if you need something that doesn’t take up as much room in your home. As we mentioned, fan resistance gives you just about any resistance level you could need. Magnetic resistance can provide anywhere from just one resistance level to 20 and more. You should look at your current fitness level and how you plan to improve it, to understand just what you need when it comes to adjustable resistance levels. Let’s face it, no one is going to workout very long if the seat they are sitting on is uncomfortable. This is one of the features we looked at when choosing our top 7 stationary bikes. Even in those bikes we’ve featured, the seats are different. One has extra padding, one has an adjustable back, and one even has massage rollers. You can even get the DeskCycle so you can use your own comfortable seating. The seat is one feature that you don’t want to overlook. Not every stationary bike has a display showing your workout stats and that is because not everyone wants or needs it. Nearly all of the bikes we have shown you do have a display to show you the stats of your workout. Not all of them, however, show pulse rate. This is because you need an additional sensor to monitor heart rate. If the time, distance, and calories work just fine for you, you can choose a stationary bike with a simple LCD monitor. Things like cup holders, a desk platform to hold electronics or magazines, and storage area, are all considered conveniences. If a holder for your tablet or even a desk for your laptop will help you be productive while working out, or even to entertain you so you stick your workout routine, choose a machine that features these, or maybe even more. There are a lot of features, benefits, and more when it comes to stationary bikes. This raises a lot of questions for those looking for one. 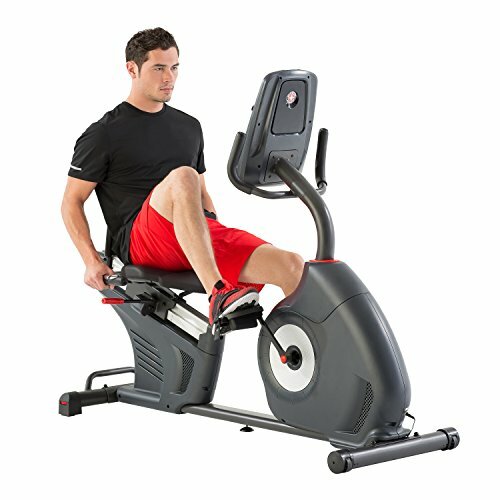 What questions do you have while making your decision as to which stationary bike is right for you, or even using it once you have it? Q: Why does the weight of the bike matter? A: Heavier stationary bikes can be more stable when in use, but harder to move out of the way when not. If you will need to move the bike frequently, you may want something lighter. A heavier bike may also have better features. 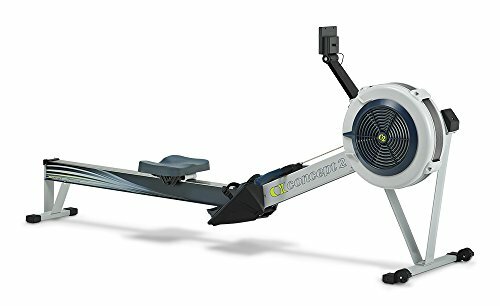 If you are looking for an exercise bike that will accommodate a heavier user, they will most likely also be heavier to support the weight of the user. Q: Are exercise bikes noisy? A: Older exercise bikes used to be very, very noisy. In fact, not a lot of people would use them due to the excessive noise. However, new technology when it comes to resistance types, better materials to construct the bike, and more have greatly reduced the noise you hear when using a stationary bike. Magnetic resistance is the quietest, but even fan resistance is fairly quiet. Q: Does the size and shape of the pedals matter? A: The pedals should be able to accommodate the size of your feet. If you don’t wear a really big shoe size, most pedal sizes will be fine. The shape can make it easier to use the pedals as well. Some even have protective straps to keep your feet planted on the pedals. Keeping your feet securely on the pedal has a lot to do with the size of your feet, the footwear worn while pedaling, the type of surface on the pedal, as well as safety straps. Q: Do your fitness goals matter when choosing an exercise bike? A: If you plan to keep your legs moving and you aren’t pushing your physical limits, lighter or fewer resistance levels is just fine. However, if you plan on working up to some fairly intensive workouts, you need something that has multiple resistance levels and can also accommodate speed. Those who participate in interval training may want a fan resistance bike as it allows infinite number of levels based on your speed. You can speed up and slow down as the intervals dictate. Q: How much space do you need for an exercise bike? A: The stationary bikes of the past used to be very bulky and heavy. New models take up much less space and are usually made to transport it out of the way when not in use with built-in wheels. Some models, like the Harvil one we mentioned above, are even foldable to take up much less room. 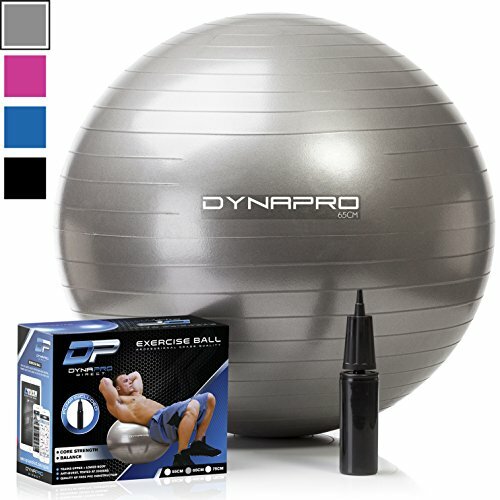 If you don’t have much room, be sure to get one that isn’t as heavy and is easily portable. If you plan on leaving it in one spot, these features don’t matter as much. Need tips to help you pick the right exercise bike? We have some handy ones here for you. Everyone can use a little advice when it comes to fitness, right? Let’s take a look at our top 5 tips for stationary bikes. Some buyers hold onto the myth that if you spend more money than you have on an exercise bike, you will be more encouraged to use it. You paid a lot of money for it so you should use it, right? However, what really happens is just the opposite. Buyers end up with a lot more than they need. It is either too complicated so they don’t use it, or all they see is an expense that is wasting away and is now a catch-all for dirty clothes. The secret to buying an exercise bike and feeling so good about your choice to become healthier, is to get the features you need for a price you can afford. Our selection of stationary exercise bikes were chosen because they are budget-friendly and offer a wide array of features. Any piece of exercise equipment is going to have rules to follow in order to reduce risk of injury. A stationary bike is no different. While each brand and model will have their own safety instructions, there are some guidelines to keep you safe on any bike. Make sure your feet fit firmly on the pedals. Make sure the bike is on a level surface. Don’t push yourself too hard. And, ask a doctor if you should use an exercise bike if you have certain chronic conditions. If you keep your fitness goals current and achievable, you are more likely to work hard to reach them, such as using an exercise bike. Have an accountability buddy who can remind you to stay on track. Write down your goals anywhere you might see them often. And track your progress to your goals. If the only place to put your new exercise bike is in a room you never use, you aren’t going to use it. If you don’t have much space, it is easy to find a bike that will fit. Take measurements to make sure you have room for that particular machine. If you don’t have space to keep it out every day, make sure the bike you get is portable so you can move it to a more convenient storage location. However, make sure the fitness bike is accessible when you need to use it. We featured the foldable Harvil fitness bike. Not many stationary bikes can fold up this way, so this is a pretty nice feature to have if space is limited. 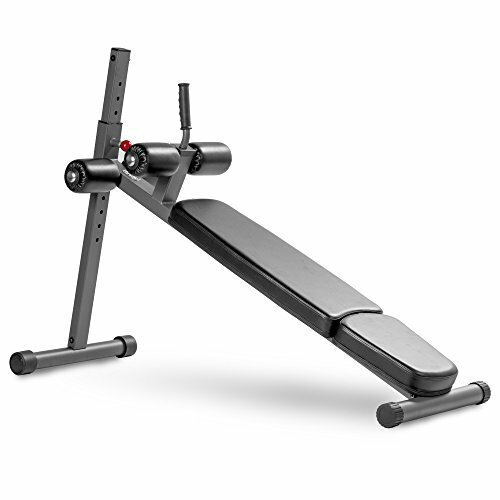 The FitDesk option allows you to sit upright when cycling or move to a semi-recumbent posture. And then there’s the LCD displays that make tracking your fitness progress workout-by-workout a lot easier. 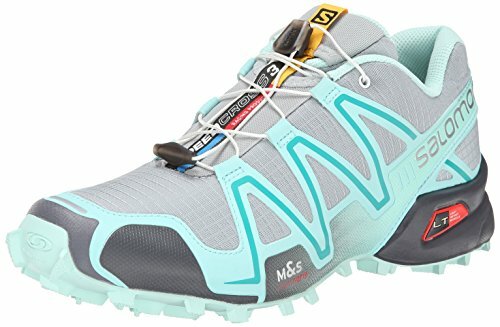 Choose features that make the most sense for you. Meet Your Fitness Goals with an Exercise Bike! A stationary exercise bike can help you whether you are interval training and pushing hard or you just want to get in the 30 minutes of exercise each day that is recommended by the Department of Health. Are you ready to sit down and cycle on the best exercise bike? 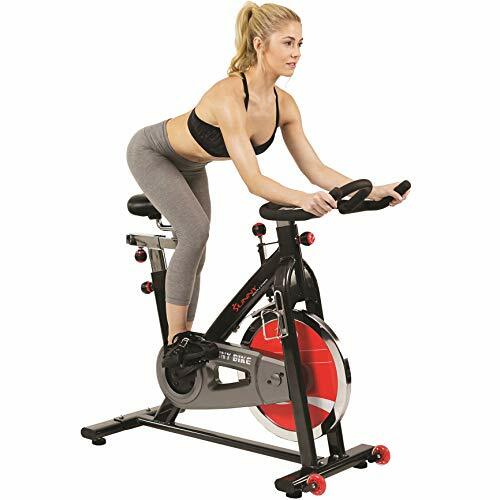 The Sunny Health & Fitness Indoor Cycling Bike is our Editors Choice as the Best Stationary Exercise Bike based on quality, ease of use and features.